How do I use bank feeds in Sage One? How do I check the status of bank feeds service? How do I set up a pension scheme? Can I restart my service if I’ve entered dummy information? Where can I find out more about how I pay for my service? Can I clear the data I’ve entered so far and start again? Our Help Centre contains all the support you need whether you’re just getting started or want to know more. For help with your service, simply choose an option below. Learning to use Sage One is quick and easy. Our short videos show you how to get started, as well as day to day processing, helping you to get the most from your service. Connect and network with like-minded businesses. Struggling to find your answer or want to find out more? 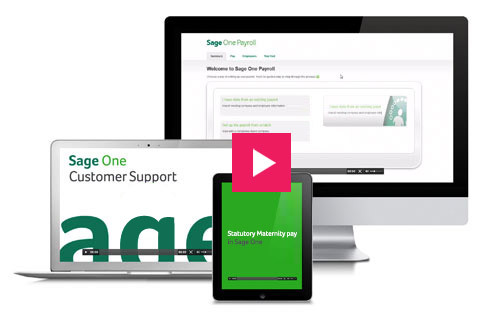 Get to know Sage One better by signing up for one of our free Getting Started webinars.